Mozart taught his pet staring the melody of the last movement of Concerto No. 17 with its bourée-like theme. 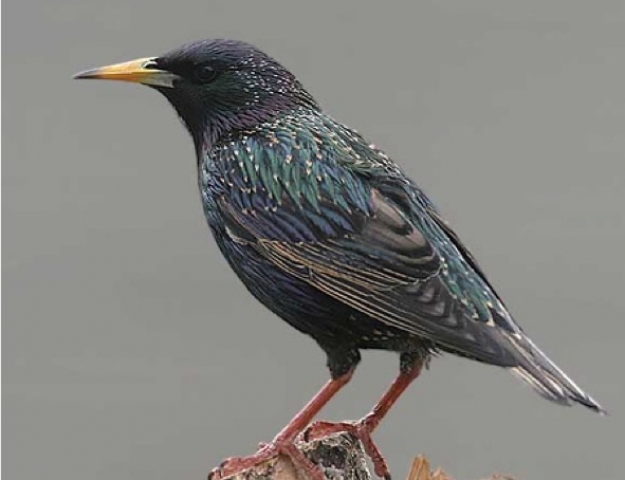 The starling apparently persisted in always getting one note wrong. 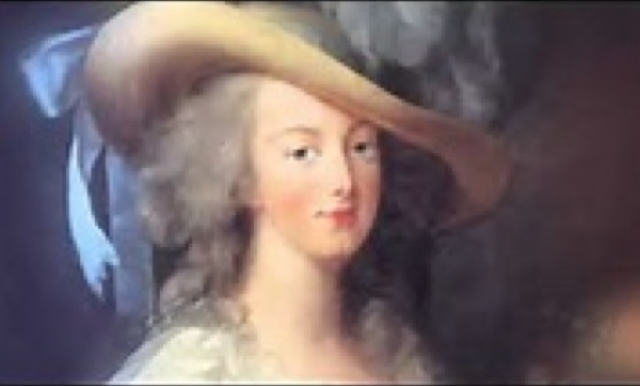 Barbara Ployel for whom Concerto No. 17 was written. Women conductors taking to the podium. 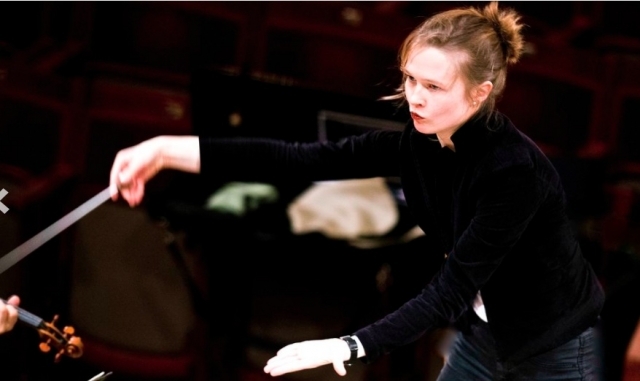 The new music director of the Birmingham Symphony, Mirga Gražinyt?-Tyla. 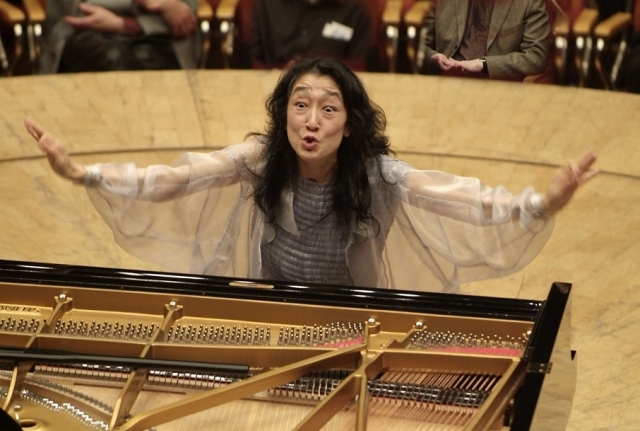 Floating onto the stage, Mitsuko Uchida might have been Barbara Ployer, a contemporary of Mozart’s who was invited to perform his piano concertos. Uchida did not wear a dashing wide-brimmed hat with blue ribbons descending down her back like Ployel’s. Yet she one-upped Ployel in a butterfly’s dress, a long golden chiffon coat with wings for sleeves, a tank top and semi-harem pants. Her gold pumps matched the pedals of the Steinway. Uchida is one of the great pianists of our time. She has a lovely sense of line and elicits tones of purity and depth from her instrument. In Concerto No. 17, the pairs of oboes, bassoons and horns were outstanding. Uchida’s conducting gestures are more pianistic than those of Leonard Bernstein when he conducted and performed Mozart concertos. Her hands are often cupped, as if they are ready to strike a note. She jabs rather than pointing, and takes huge sweeps with her arms, perhaps preparing for later tears up and down the keyboard. Rising from her bench when she is not required to play, she swoops through phrases and briskly concludes movements. Will she continue to a larger career as a conductor? In Munich, the Bayerische State Opera is often conducted by Oksana Lyniv, Gemma New is at the New Jersey Symphony, and Mirga Gražinyt-Tyla is the new music director of the Birmingham Symphony. The central Andante’s of both concertos were taken slowly, savored by the musicians as though they wished they would last forever. The perfect beauty of exposed notes was breathtaking. Symphony No. 34 was bracketed by the concertos. 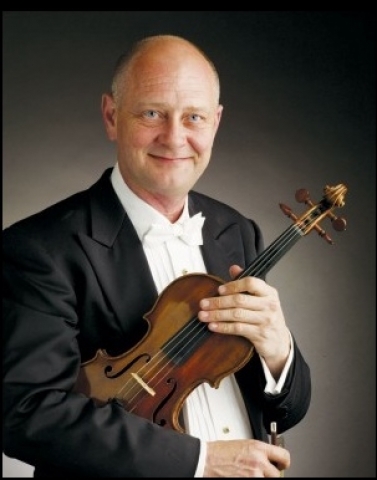 Concertmaster William Preucil, who has been in this chair for over two decades, led the orchestra. How is one to describe perfection in ensemble playing? How does it come about? 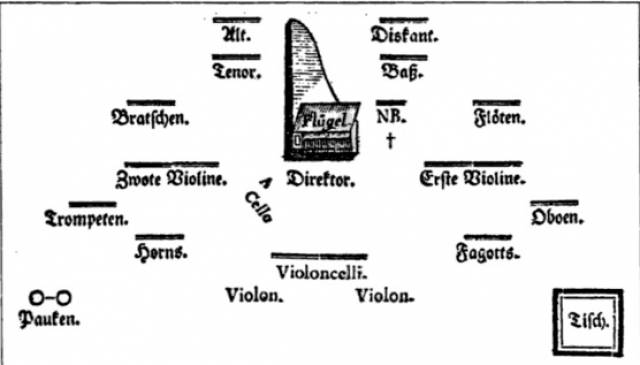 One interesting visual is the orchestra members bending in to each other, a unit where individuals yield to the group. They are like a huddle on the 10 yard line, with everything at stake, but not a mistake made. Yet masterful precision without sacrifice of warmth is the overall effect and seemingly miraculous. The Concerto No. 25 is full of ambiguity which Uchida and the orchestra captured, from the first suggestion of a minor mode to its full reaization in the first movment. Uchida brought forward the transitions in a chiaroscuro. Here the dialogue with orchestra, which characterizes the concerto form, is delightful. Uchida suggests and then, for instance, the woodwinds play what the piano has only imagined. The courtly and witty gavotte of the final movement was an elegant conclusion to the evening. No matter how difficult it is to describe the effect the Cleveland Orchestra and Uchida achieve, admiration increases at every hearing. Carnegie is the perfect setting for their bountiful gifts.